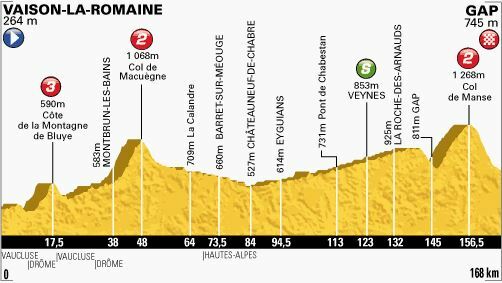 Stage 16 of Tour de France is a hilly stage from Vaison-la-Romaine to Gap. 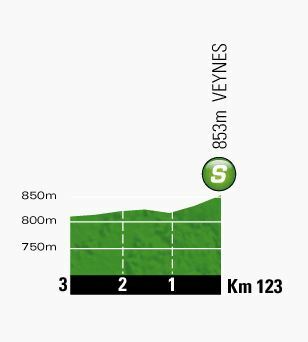 The length of the course is 168 km. Vaison-la-Romaine (Latin: Vasio Vocontiorum) is a commune in the Vaucluse department in the Provence-Alpes-Côte d’Azur region in southeastern France.The historic section is in two parts, the Colline du Château on a height on one side of the Ouvèze, the “upper city” and on the opposite bank, the “lower city” centered on the Colline de la Villasse. One of the most interesting aspects of the town is its geography, and its Roman ruins. 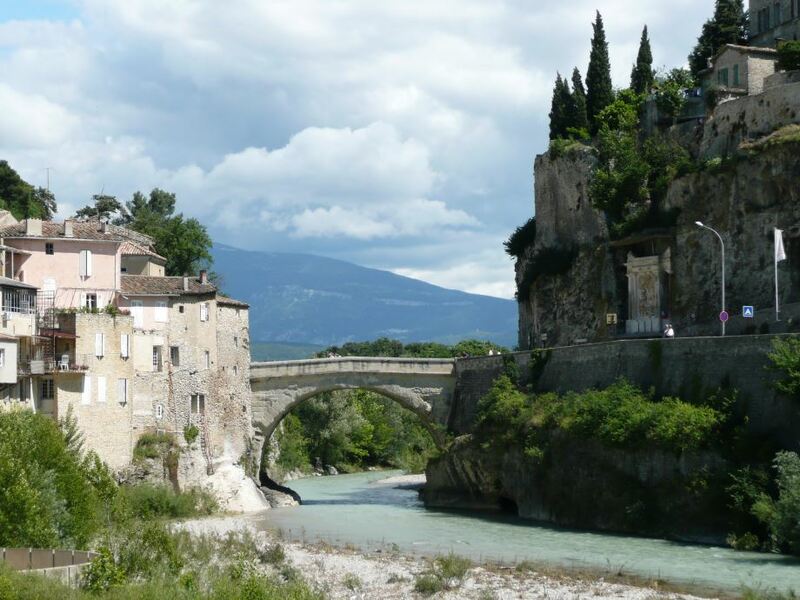 The Roman ruins and the modern town are in the valley on the banks of the river Ouvèze which is crossed by an ancient bridge from the 1st century AD. The medieval town is high on the rocky cliff. The valley floor was safe from attack in Roman and modern times. In the Middle Ages attacks were frequent, and the town retreated up-hill to a more defensible position. The apse of the Church of St. Quenin, dedicated to Saint Quinidius, seems to date from the eighth century; it is one of the oldest in France. As a whole the cathedral dates from the 11th century, but the apse and the apsidal chapels are from the Merovingian period. 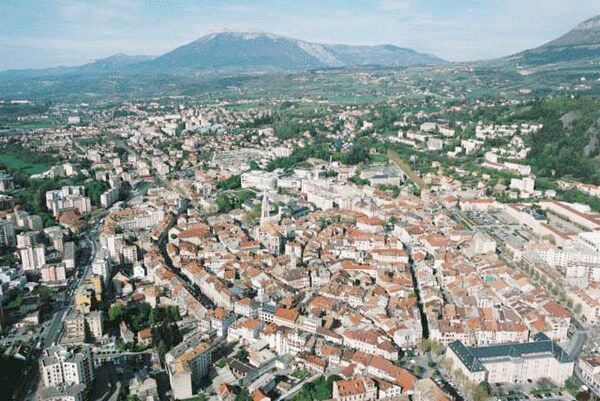 Gap is a commune in southeastern France, the capital of the Hautes-Alpes department. 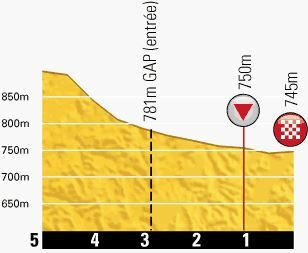 (wiki)Gap hosted a Tour de France stage 21-time in history.